Miami International Airport's North Terminal, completed in 2014, is used by American Airlines as its Latin American and Caribbean hub to operate more than 300 daily flights and serve more than 25 million passengers annually. North Terminal’s new three-level international arrivals facility, which saw its final phase completed in 2014, features: a 72-lane passport control hall capable of serving 2,000 passengers per hour; 30 automated passport control kiosks and 12 Global Entry kiosks for expedited clearance; a spacious second-level baggage claim area; a ground-level international greeter's lobby; and an eight-lane security checkpoint dedicated solely to connecting passengers. 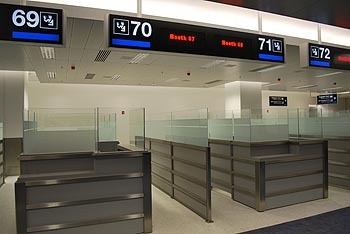 The North Terminal Improvements (NTI) Phase II project, completed in December 2011, added 150,000 square feet of renovated space for additional ticket counters, a fourth North Terminal security checkpoint and new curbside check-in areas on the arrival and departure levels. 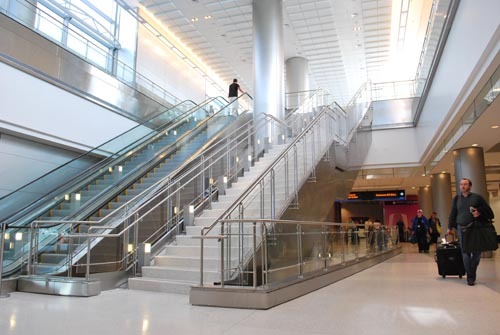 The renovations, remodeling and additions also re-connected the Central and North terminals of MIA on all levels between Terminal D and E and include new escalators for easier vertical access. North Terminal's Phase I improvements, completed in 2009, delivered 58 ticket agent positions, 66 self-service check-in devices, 14 curbside check-in positions, and three security checkpoints located just 90 feet from the concourse area for fast, easy access to passenger gates. In September 2010, the Concourse D skytrain people mover began whisking passengers between four conveniently located stations on the roof of the mile-long concourse. A ride on the skytrain can take you from: station #1 near Gate D-17 at the easternmost end of Concourse D to station #2 for domestic baggage claim; continue to station #3 for connecting flights at gates D-26 to D-39, passport control or exit to Central or South Terminal; or carry you all the way to station #4 for gates D-40 to D-60 and American Eagle flights at the new Regional Commuter Facility - all within five minutes. Built by Parsons-Odebrecht with five four-car trains provided by Sumitomo Corporation of America and Mitsubishi Heavy Industries, skytrain has the capacity to transport 9,000 passengers per hour. It is also designed to decrease walking time 70 percent for domestic connecting passengers and 34 percent for international connecting travelers in Concourse D.
The former Concourse A and its 16 gates re-opened in July 2010 with a new look and a new name after being closed in 2007 to expedite North Terminal construction. The 430,000-square-foot area was renovated to provide a seamless connection to the rest of Concourse D and its 16 gates were renumbered D-1 to D-19. Tying the entire North Terminal together is a new automated baggage handling and delivery system capable of screening and transporting 8,400 bags per hour from the check-in area to all of North Terminal's 50 gates via a state-of-the-art system of 25 explosive detection machines and nearly 10 miles of conveyors. 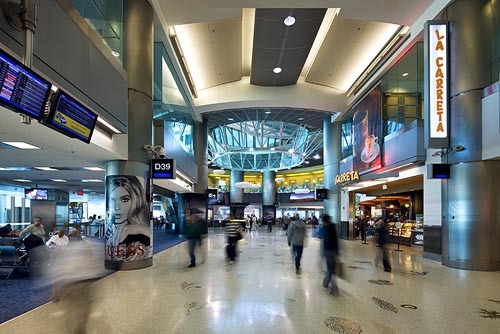 North Terminal also gives passengers a taste of South Florida chic before they leave the airport with a wide assortment of more than 80 restaurants and shops. More than 20 new concessions opened in 2011 alone, including: The Shoppes at Ocean Drive, a 9,000-square-foot retail space by Newslink Group featuring brand names like Prive Gourmet Market, Britto, It’s Sugar, Peace-Love-Miami, Ocean Drive News, Puma, Nike, Adidas and Ducati; shops operated by Duty Free Americas for Coach, Emporio Armani, Mont Blanc and Thomas Pink; a new food court featuring Café Versailles, Manchu Wok, Nathan’s Hot Dogs and Villa Pizza; as well as Shula’s Bar and Grill, Cocina Lorena Garcia, Island Chicken Grill, Juan Valdez Café, TGI Friday’s, InMotion, Booklink Café, Kuva, Newslink Explorer and Air Essentials. North Terminal won the Airport Revenue News (ARN) magazine 2012 award for Best Overall Concessions Program Award in a single terminal, was named one of the top 10 U.S. airports for healthy food in a 2011 report by the Physicians Committee for Responsible Medicine, and was named “2010 Best Food Court” in the Miami New Times annual “Best of Miami” issue. After a bit of a delay, the new customs and immigration wing at Miami International Airport is ready for its grand opening. Coming into the U.S. through MIA can be a real challenge. "Our old Concourse E facility had reached capacity, so at certain times, we reached a point where we couldn't process them all," said MIA Communications Director Greg Chin. "We had to send some passengers to temporary facilities." Convenience is key for international travelers. That is why the Sky Train drops them off just one floor above. As soon as they walk into the immigration hall, they realize how massive it is -- a full football field long. The new facility opens July 31 at a cost of $180 million. Its 72 passenger lanes are double the number at the old facility. It also will include six global entry kiosks, which travelers can use for a small fee. 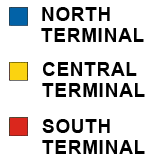 All users have to do is have their passport scanned, their fingerprints taken and their retinas read, and if they are approved, they are on their way. Customs officers have just as much room behind a one-way mirrored wall, and a new baggage area is connected to American Airlines' fully automated baggage handling system. For security, there will be 25 inline explosive detection units at $1 million apiece, X-raying every piece of checked luggage. A new multimillion-dollar baggage system is now open at Miami International Airport, and demolition has begun on the old shed. 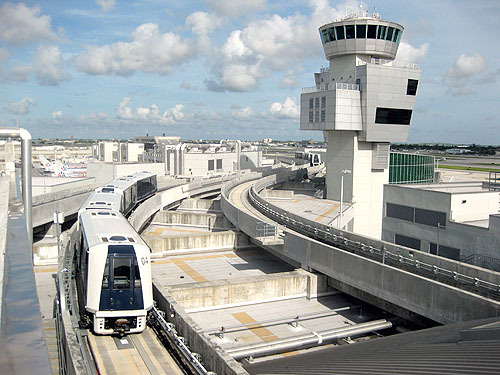 The biggest phase of MIA's $2.9 billion North Terminal has been handled. "You're talking a fully automated system from the ticket counter to the aircraft. 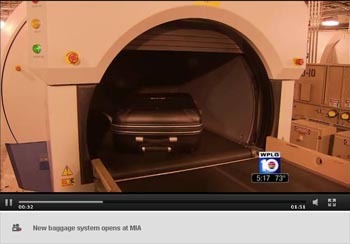 It gets screened for explosives and delivered to your gate," said MIA Communications Director Greg Chin. A labyrinth of conveyor belts stretches a total of 14 miles through the airport. The system can handle 6,000 bags per hour, and currently moves 30,000 to 40,000 bags per day. The fully automated baggage handling system cost $220 million, but it has already processed more than 3 million bags and been handed over to American Airlines. Also, the demolition of MIA's old baggage shed makes room for three more gates. The old facility has been in operation for 20 years and was not only outdated, but it was in the way. "This is about 100,000 square feet of space and a lot of metal," Chin said. Miami International Airport has completed what Miami-Dade County's aviation director calls "probably the most significant milestone" in the $2.9 billion North Terminal: The $220 million automated baggage handling system has successfully concluded 105 days of operations. 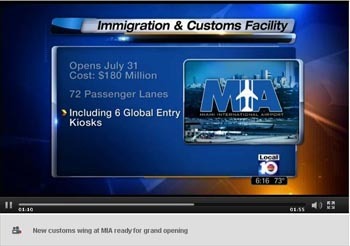 MIA's system is designed to screen and transport 6,400 bags per hour from the 1.3-mile-long North Terminal’s 152 ticket counters to 50 aircraft gates. The North Terminal is also known as Concourse D.
Flying into Miami should get easier for international travelers when Miami International Airport opens a new Federal Inspection Services facility this summer. The three-level, 400,000-square-foot area is scheduled to partially open in July, with all 72 passport control lanes operating to process international arrivals. "Once fully complete, the new FIS area will be able to process 3,600 international passengers per hour upon their arrival to the US," said Miami International spokesman Greg Chin. “They love to spend, and they love that our prices are much lower than Brazil,’’ Serrano said on a recent evening at the luxury airport concession, which opened last year, flanked by Coach and Thomas Pink shops on one side and Mont Blanc on the other. A few minutes later, Serrano was tapping an iPhone app in a bid to translate a message into Mandarin for a perplexed Chinese customer: His Miami-Los Angeles flight was a domestic one, making him ineligible to buy in the duty-free store. He nodded in understanding and moved on. “He wanted to buy, but today he can’t,’’ she explained. Concessions at the North Terminal are booming, buoyed in part by strong growth in international travelers drawn to its expanded selection of trendy, new shops. The wider selection of high-end stores puts Miami among the front-runners in a global trend of vastly expanding retail and food offerings at airports. 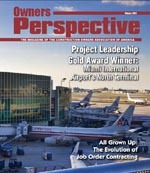 Airport Revenue News (ARN) magazine named MIAMI International Airport’s North Terminal the winner of its 2012 Best Overall Concessions Program Award during the publication’s annual conference and exhibition in February (see press release below). Industry participants cast more than 1,300 on-line votes in five airport categories and 15 specialty retail, news and gifts and food and beverage categories to determine the winners. 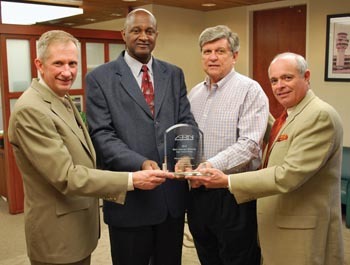 Miami-Dade Aviation Department (MDAD) Deputy Directors Ken Pyatt and Miguel Southwell, Concession Business Chief Adrian Songer and Aviation Director José Abreu with ARN’s 2012 Best Overall Concessions Program Award. 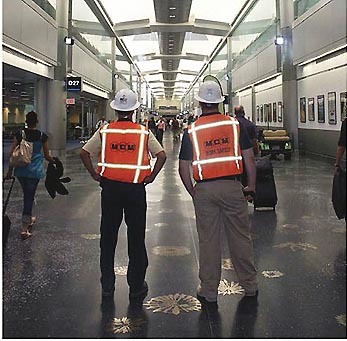 The Construction Owners Association of America (COAA) has selected Miami International Airport’s North Terminal Development Program as its 2011 Project Leadership Award Program Gold Award Winner, COAA’s highest honor. According to the COAA, the Project Leadership Award is an annual awards program that recognizes owner’s excellence in project delivery. The Project Leadership Award program promotes leadership, professionalism and management excellence of owners involved in the design and construction process. The awards are open to both public and private owners who do not have to be members of COAA, and are open to renovation and new construction projects from any industry and of any size. By the end of 2012, Miami International Airport (MIA) will have been transformed by completion of the North Terminal Development Program. 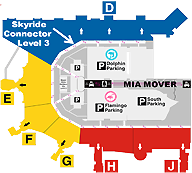 MIA, which is operated by the Miami-Dade Aviation Department, is the largest US gateway to Latin America and the Caribbean and is one of the leading international passenger and freight airports in the world. 96 different carriers are involved in shifting over two billion tons of freight annually and ensuring the safe travel of almost forty million passengers. MIA also has a reputation for aesthetics to live up to. Cited within the industry as one of the six most beautiful airports in America and among the top 15 in the world, it is imperative that any new development enhances the environment of calm and tranquility that its operators have sought to cultivate. 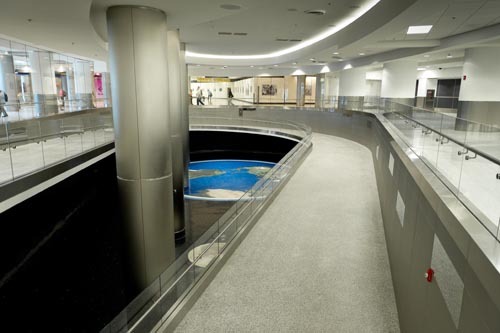 Two new areas in MIA’s North Terminal have been named among 35 winners in Engineering News-Record Southeast’s 2011 Best Projects competition. North Terminal’s Concourse D skytrain and Regional Commuter Facility were joint Merit Award winners in the Transportation category. The Concourse D skytrain, which opened last September, connects passengers from one end of Concourse D to the other within a few minutes and has reduced the average walking time in North Terminal by 50 percent. The Regional Commuter Facility is a 50,000-square-foot extension of North Terminal that opened last August to serve American Eagle’s regional jet operations and includes two new concourse-level gates, a new passenger waiting area and outdoor walkways to 12 lower-level gates. NEW YORK (TheStreet) -- Airline travel can involve unpleasant moments, from going through security to waiting out bad weather to watching thoughtless passengers with too much baggage. One way airlines and airports can enhance the experience is by making terminals pleasant places to be. These are multibillion dollar projects that take many years, so they involve major bets on the economy. For airlines, it can be difficult to quantify the financial benefit, but it is easy to make the case that gorgeous terminals like American's Terminal Eight at New York's Kennedy Airport provide a competitive advantage, given that international travelers in the New York area have a broad array of choices. Miami International: It cost too much and it took too long, but the renovation of Miami International Airport is finally nearing completion. The project began in 1995, billed as a $975 million new terminal for hub carrier American. The scope and the cost both swelled. American's terminal ended up costing $3 billion, while other improvements, including a new terminal for United and its partners, brought the total cost to $6.4 billion. American Airlines today announced it has hit a record-breaking milestone for its operations at Miami International Airport (MIA). On Saturday, March 12, the airline boarded 39,283 passengers at MIA, a record day for the hub. Sunday, March 13, marked the second-highest figures for boarded passengers, with 38,914 customers traveling on American. One of the last pieces in the Capital Improvement Program (CIP) mega-puzzle at Florida’s Miami International Airport – the transformation of its Concourses A through D into what is now called the North Terminal, is nearly complete: 44 of the North Terminal’s 50 gates were open by late 2010 and the last six will open this year. In August, 2010, American Eagle’s Regional Commuter Facility, complete with 12 hard stands and two full contact gates, officially opened. On September 15 passengers started using the Skytrain, built on the North Terminal’s roof. Miami International Airport was recently voted one of the top 15 most noteworthy airports in the 2011 Passenger Terminal World Annual Review. The airport copped the distinction for the range of retail offerings available in its North Terminal. The judges felt the terminal’s nearly 20 stores stocked a range of brand merchandise that evoked “South Florida chic, ” and offered items travelers could find in downtown Miami. Granted, the quality of eats found in food courts is generally not of epicurean note, but the selections at Miami International Airport's North Terminal (post-security, especially) give travelers a good taste of some pretty recognizable local offerings, so it deserves cred.